As school districts ring their final bell and children anticipate summer camp and swim lessons - let's remember the true roots of our U.S. American Memorial Day on May 30th this year. Memorial Day was originally called 'Decoration Day' because flowers, flags and floral wreaths were put on the graves of those who died in service to the U.S.A. It was first widely observed in 1868 in recognition of Civil War soldiers, promoted by General John A. Logan of the Grand Army of the Republic, an organization of Union veterans. The first U.S. celebration occurred at Arlington National Cemetery after former Union General and Ohio Congressman James Garfield gave a speech and 5,000 people decorated the graves of 20,000 Union and Confederate soldiers at Arlington. After World War I, Memorial Day became an occasion for honoring all who died while defending our nation and its values. It's an annual national holiday occurring the fourth Monday in May, allowing people to enjoy a 3-day weekend. Memorial Day weekend also signals the start of summer vacation season with family and friends. Consider these celebration tips to acknowledge history and incorporate respect for our fallen in an authentic, yet contemporary, recognition of Memorial Day. Memorial Day's predecessor, 'Decoration Day,' was honored by the decoration of Arlington graves with a flag, flower or candle. It was also honored by wearing a red poppy, the idea and work of Ms. Moina Belle Michael. Poppies, candles and flags are commonly displayed in communities across the country at barbecues and pool parties, why not yours? 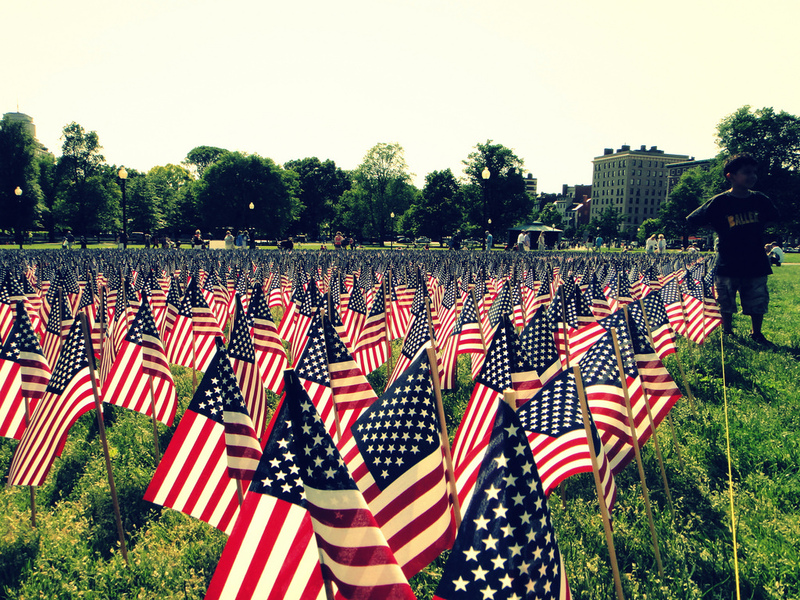 Honor Memorial Day in a way that resonates with your tribe. Invite veterans or military to your event - Army, Marine Corps, Navy, Air Force, and Coast Guard. Reserve time to play Taps and have a moment of silence with your guests. Support a local military parade. Write letters to veterans with your children. Volunteer at your local VA. Provide red poppy party favors to honor the day. Memorial Day is the perfect time to look into special events at a local museum or monument honoring those who have defended our country. For example, Washington D.C. is home to the country's largest parade on this weekend. Arlington National Cemetery provides roses for visitors to place on graves as they pay their respects. Local museums may have extended hours. Enjoy your weekend! Please share below your ideas or plans for an authentic Memorial Day.